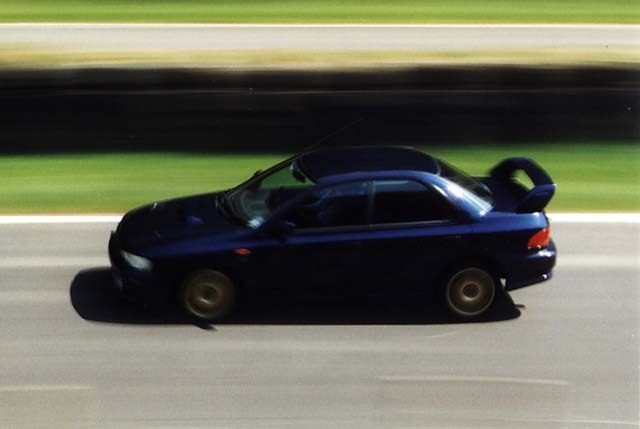 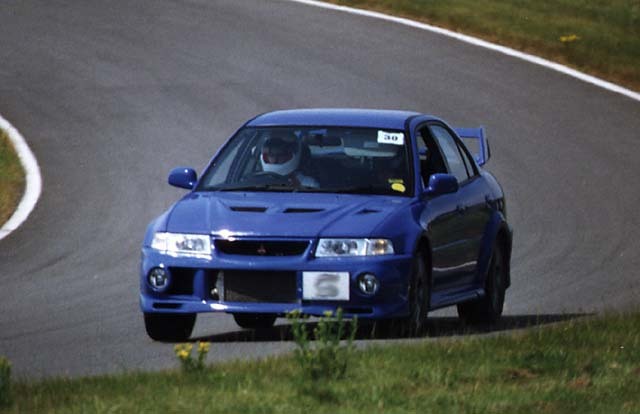 Anders takes to the passenger seat as trackday instructor Rob Mac pilots his 22B. 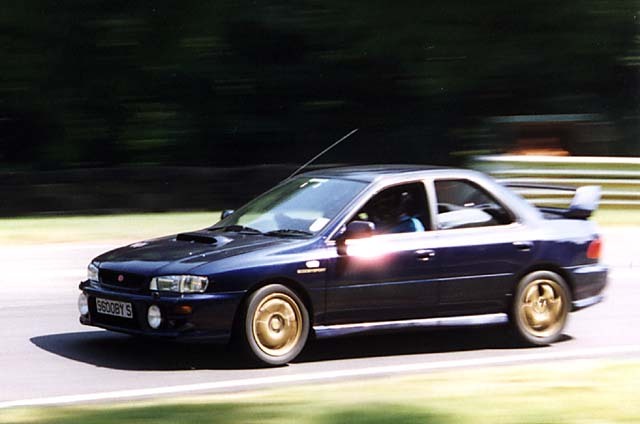 Peter McG in his Terzo - Scoobysport WRC replica wing, Brembo's, Leda, Cibies and full SS exhaust system. 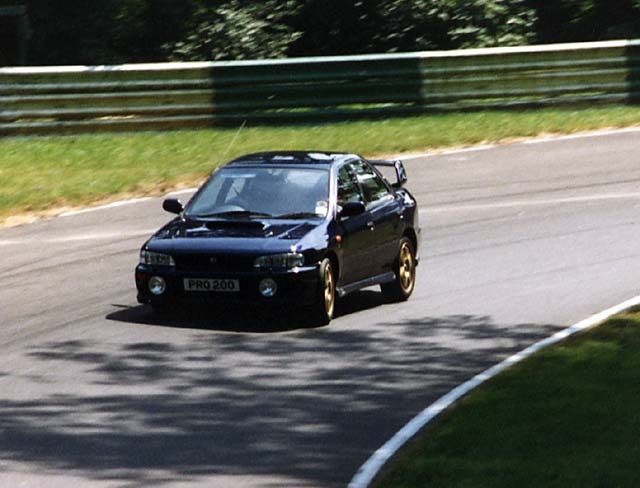 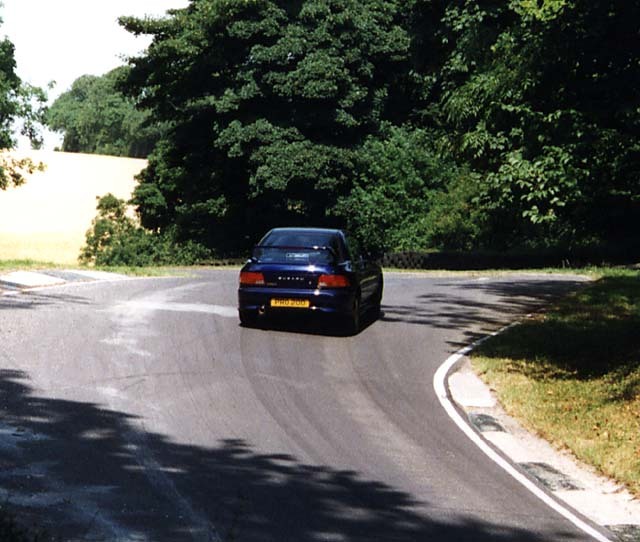 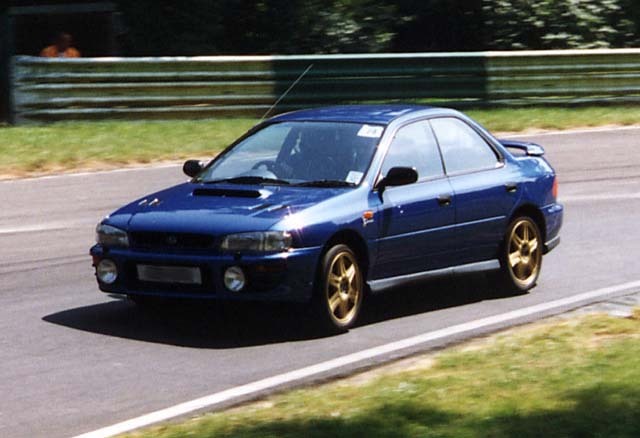 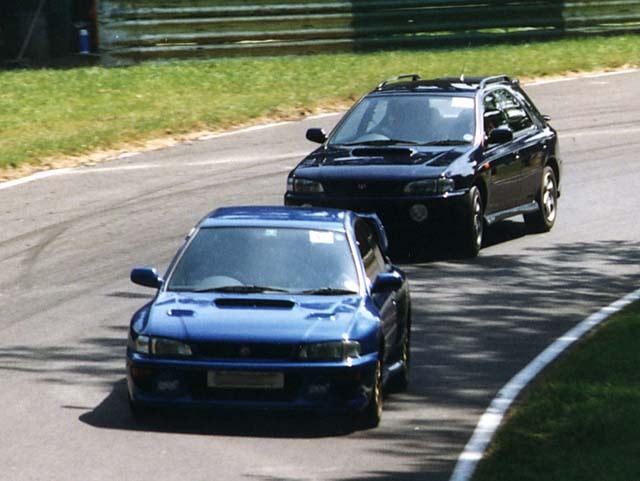 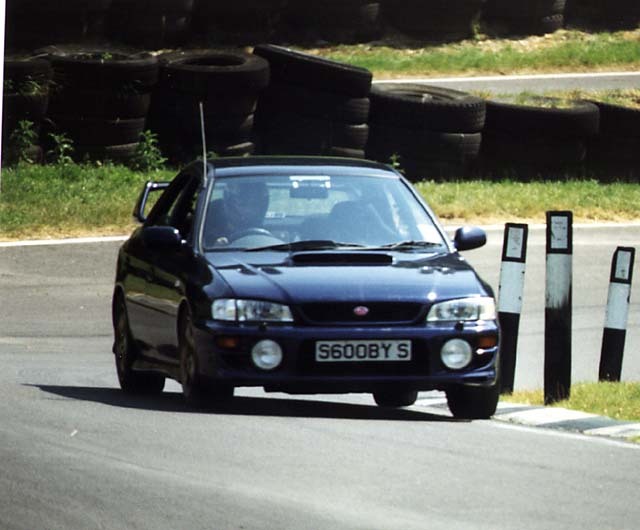 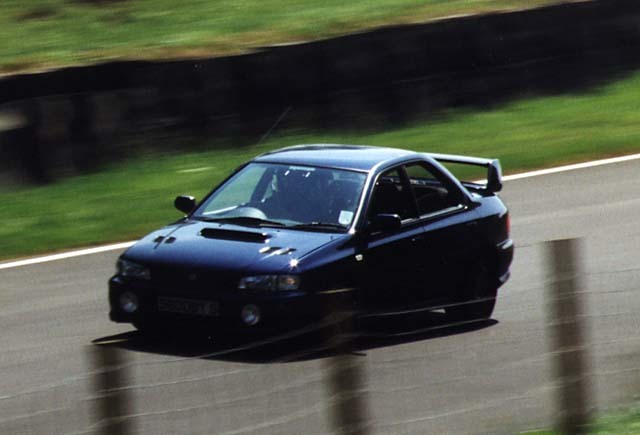 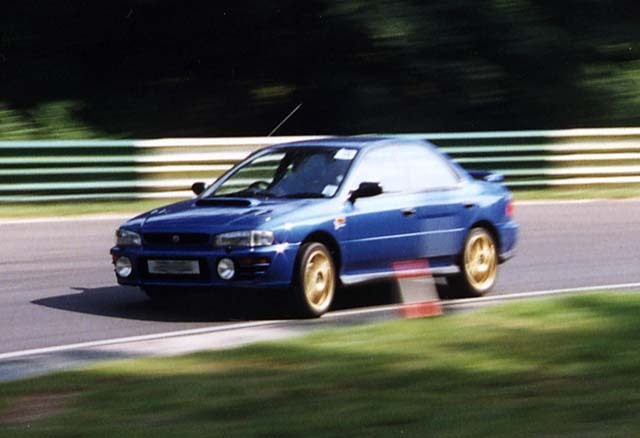 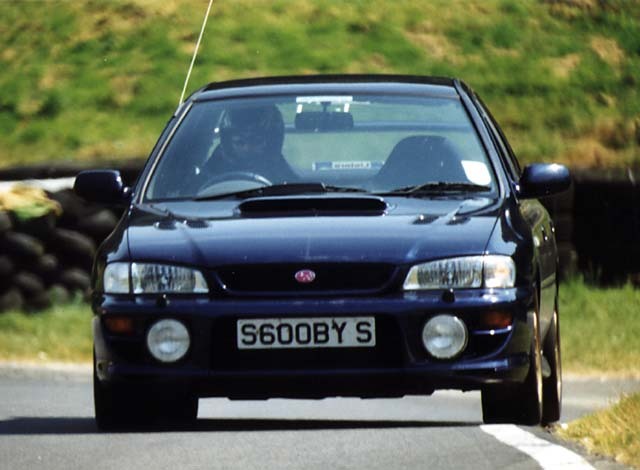 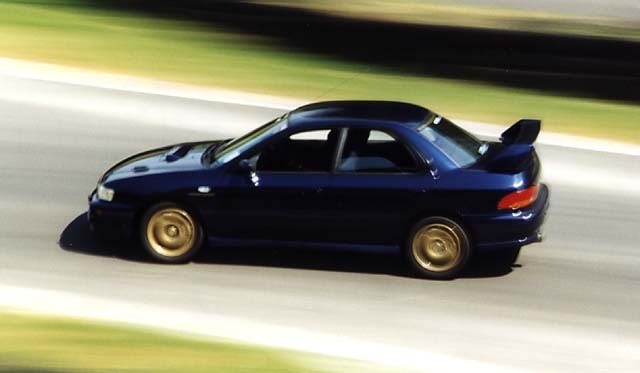 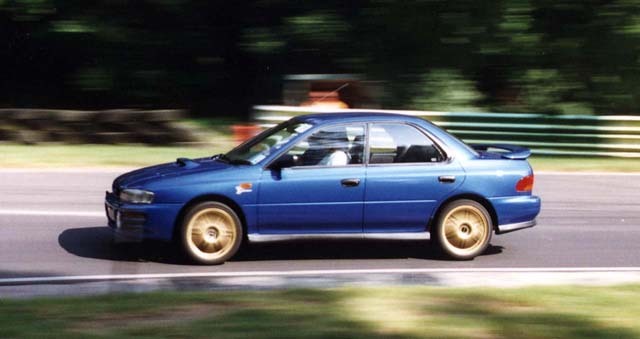 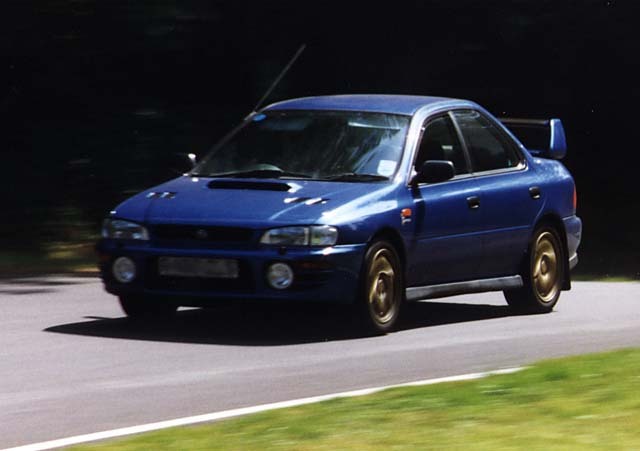 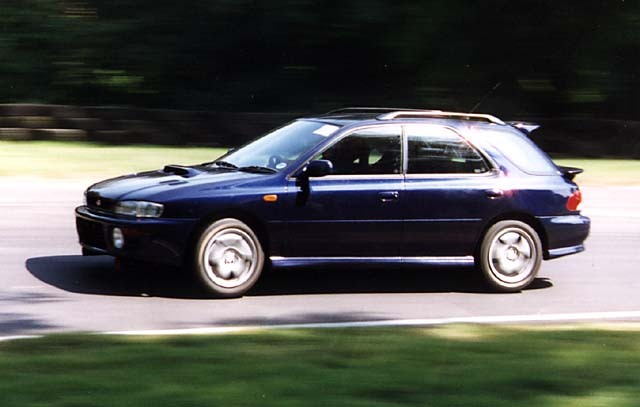 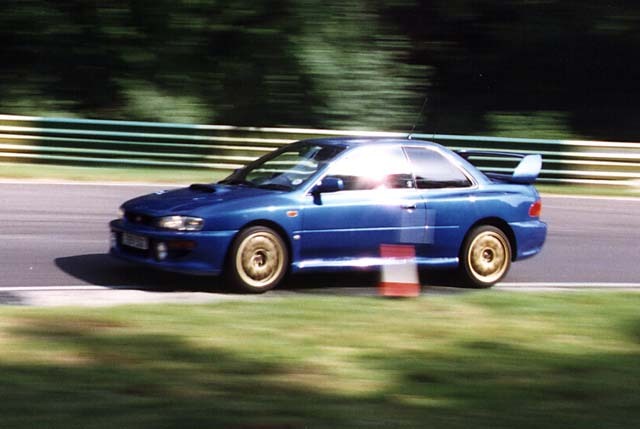 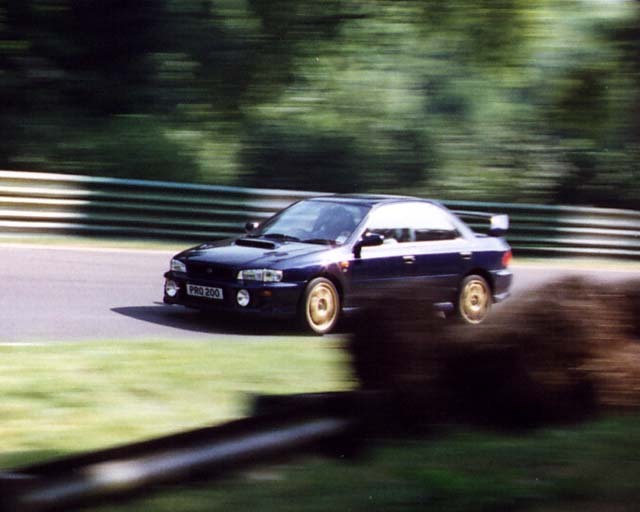 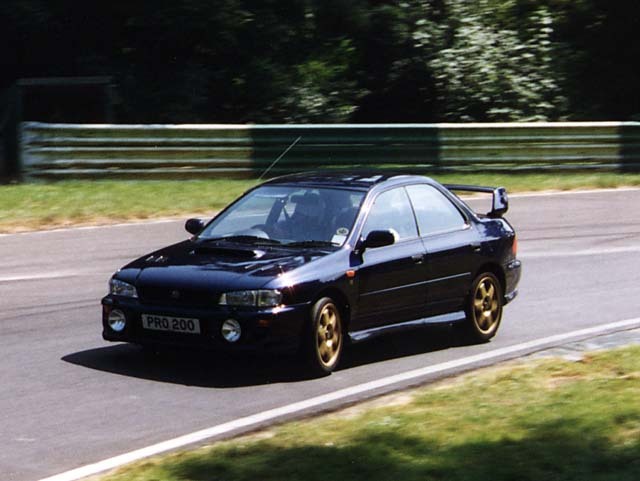 Colin T. in his Scoobysported 22B being followed by Steve W. in his 5 door STi. 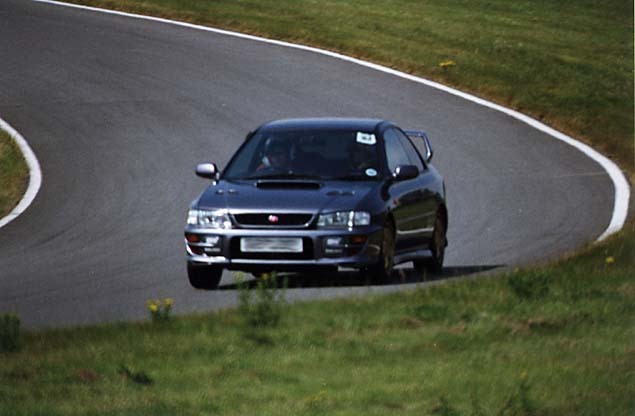 Darren S. and his STi5 Type R with Brembo GrpA brakes with fully floating discs, Scoobysport downpipe and back silencer and Leda C suspension. 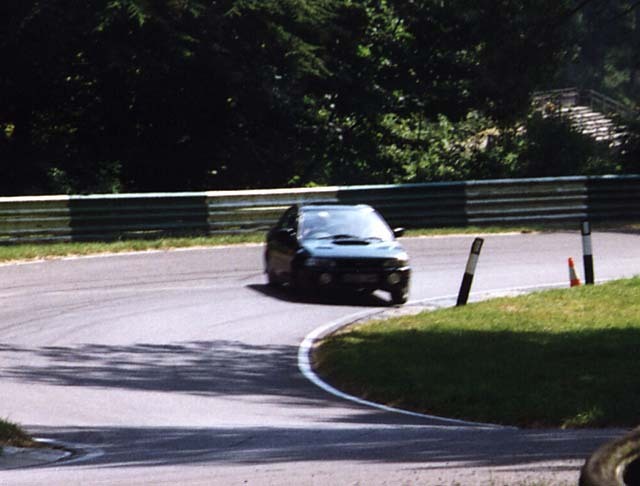 Sideways from a green four door. 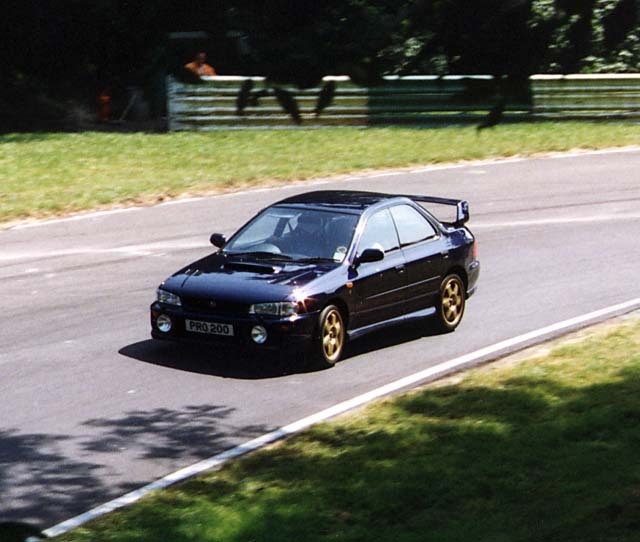 Pete C. with a Scoobysport MY99 - Brembo brakes, Leda C, Scoobysport exhaust, ITG filter, rear wing, Cibies and running on 16in slicks. 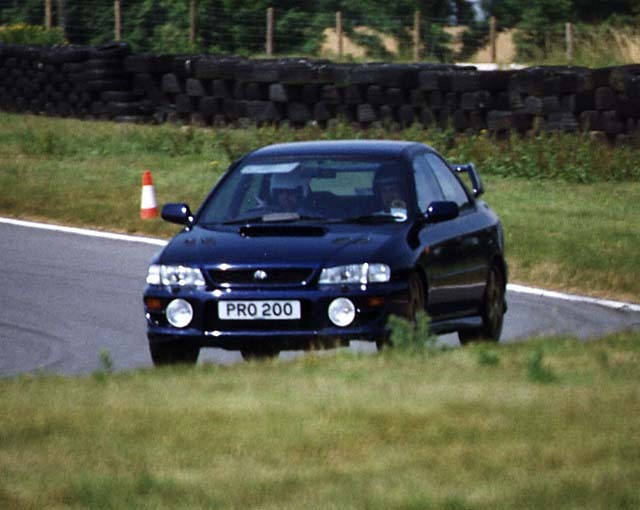 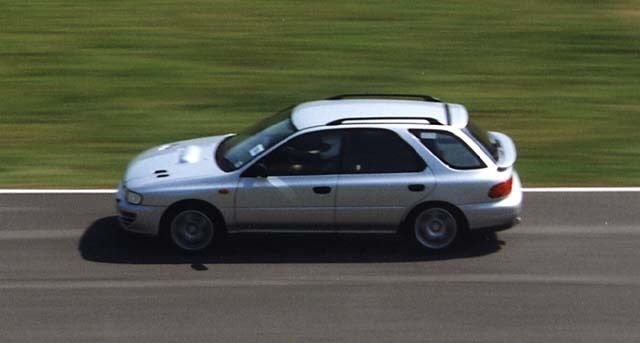 Mike Wood in the MY99 Prodrive WR - brakes, suspension, rear wing, interior, quickshift and performance pack. 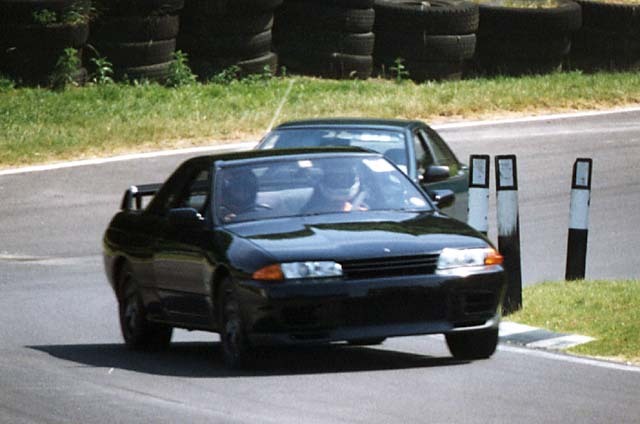 Yes there were other cars on the track. 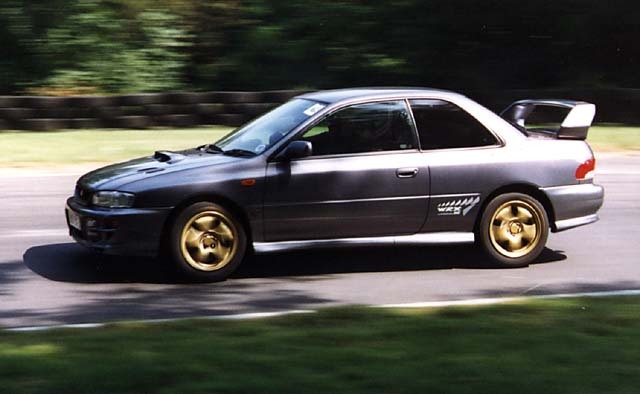 Here is a Mitsubishi EVO. 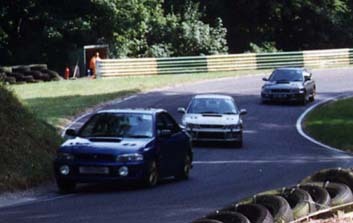 An Elise is chased by a group of Scoobies. 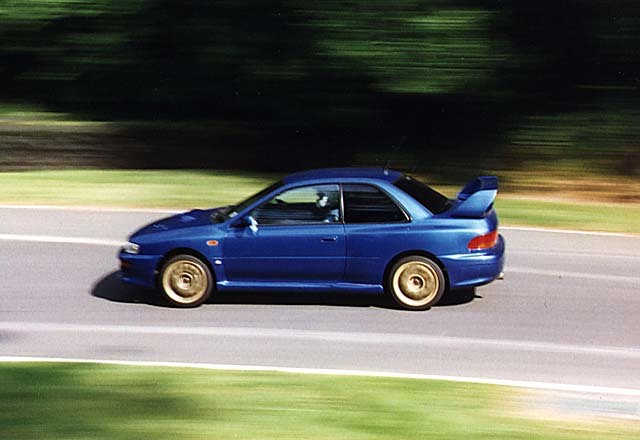 Copyright © of photographs remain with Steve Breen, used here by permission and may not be copied without consent.